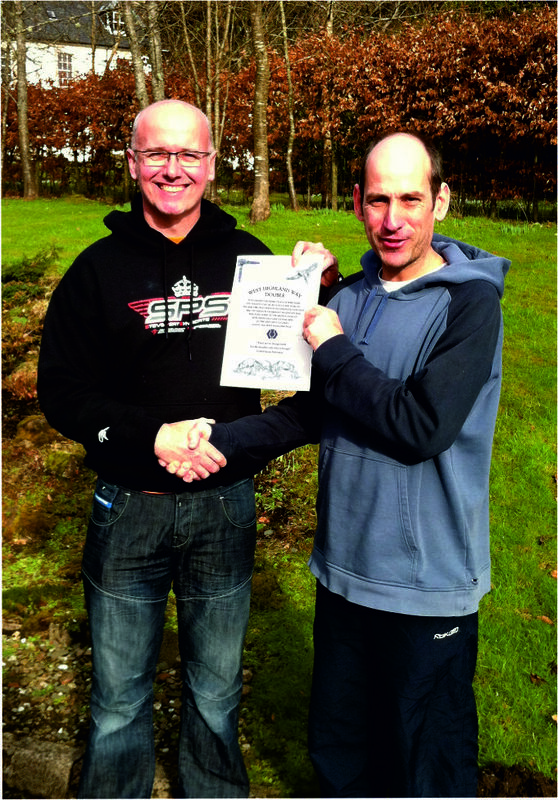 a certificate to signify being the first to complete the West Highland Way Double non stop by Mountain Bike. 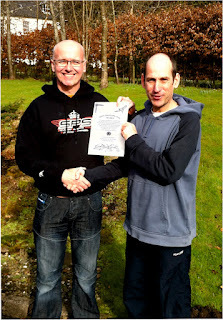 It was an honour that I could not ignore, and a good excuse to ride my bike around the nearby Glentress trails. Callum Christie who runs West Highland Way Holidays at the information point in Milngavie presented it to me and is no stranger to the WHW, he is the one to ask about anything related to the route and regularly arranges trips along it. He was also the back up driver for two previous attempts at the WHWX2 by Craig Hudson, so he is aware of the magnitude of the challenge as being a supporter also requires a great deal of effort. Craig Hudson from West Highland Wheels also came to congratulate me, which I thought was a nice gesture and we had a lot to talk about. Craig had set the bar high, as on his WHWX2 attempts had ridden further than anyone else. Craig was definitely the guy to beat! Unfortunately his attempts were cut short by mechanicals and physical problems, a great shame after all that hard work. We came home having met some new friends, Callum and his family and Craig, they are very nice people and I'm sure we will keep in touch. Thanks again for the recognition, that certificate is great, Cheers Callum. Congratulations again Joe. A great ride and all the recognition you receive is well deserved (and heard earned! ).